By 1968, David Axelrod had been a veteran in the music industry but held an in-house producer role at Capitol Records for only around five years. Success on projects with hard bop artist Cannonball Adderley as well as with soul singer Lou Rawls—and then as a composer and arranger on forward-looking albums on Reprise from West Coast garage-psych act The Electric Prunes—yielded an opportunity at Capitol, where label president Alan Livingston called for a record similar to the moody Axelrod-authored Electric Prunes’ Mass in F Minor LP. 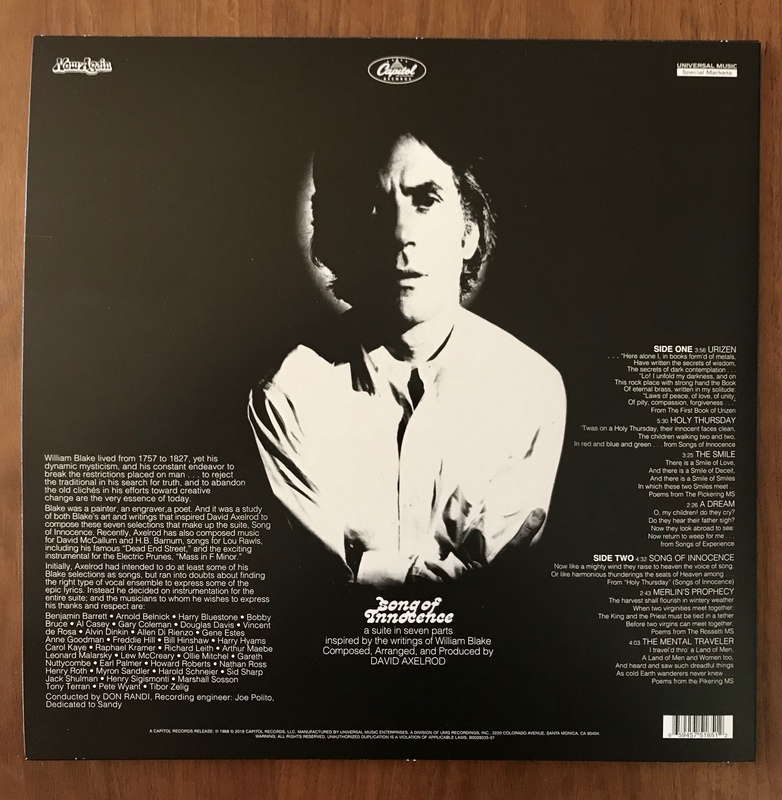 “(Axelrod) would deliver the great, psychedelic album that Livingston wanted in 1968’s Song of Innocence, based around the poetry of William Blake,” writes Now-Again Records founder and music journalist Eothen “Egon” Alapatt. In the liner notes of his label’s 50th anniversary reissue of Axelrod’s solo debut, Alapatt explores the origins of the composer’s cinematic instrumental LP, which has long been revered for its spacious and innovative, funk- and jazz-infused textures by beloved hip hop producers such as A Tribe Called Quest’s Ali Shaheed Muhammad as well as visionary turntablist DJ Shadow. “It is, for me and for many, Axe’s masterpiece,” writes Alapatt. 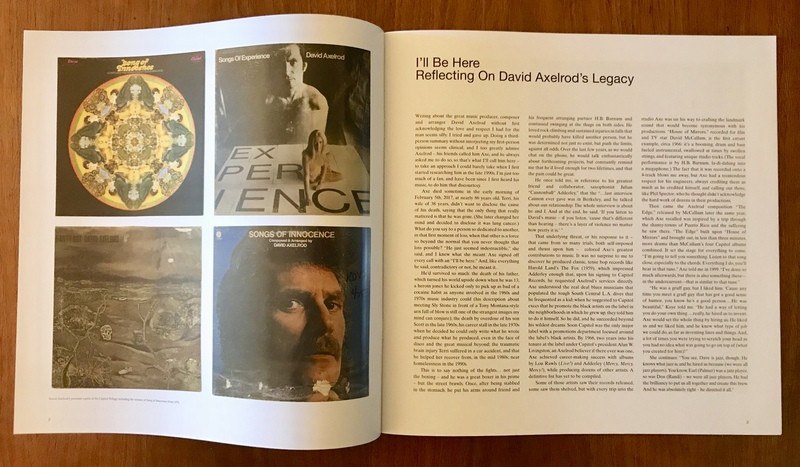 Alapatt’s essay on Axelrod and Song of Innocence is included in the nearly 30-page booklet that is paired with the reissued LP, which is representative of a direct transfer from Axelrod’s original EQ’d Capitol tapes. 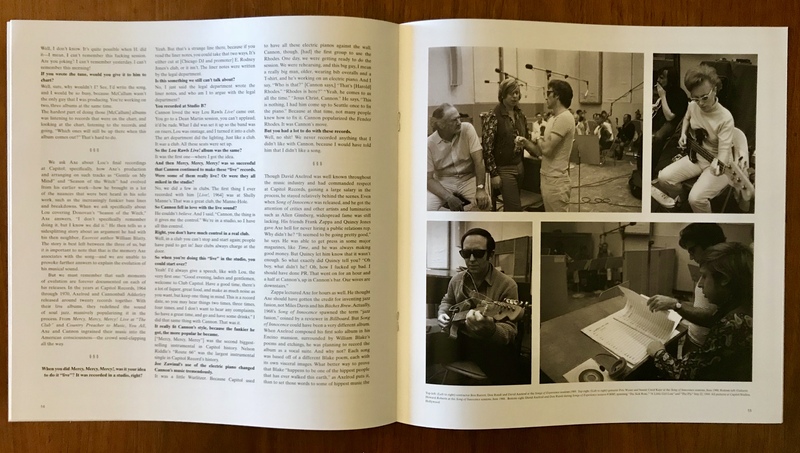 The liner notes feature an interview with the artist co-conducted by music writer Brian DiGenti and a number of late 1960s-era photographs from studio sessions (some of which ran in DiGenti’s Wax Poetics last spring). In 2017, David Axelrod died of lung cancer at age 85. Now-Again—which has my ear as frequently as The Numero Group does with respect to its valuable archival work—will reissue his whole Capitol Records trilogy—Song of Innocence, Song of Experience, and Earth Rot. The first of the three LPs, a “suite in seven parts,” is available now via Rappcats. 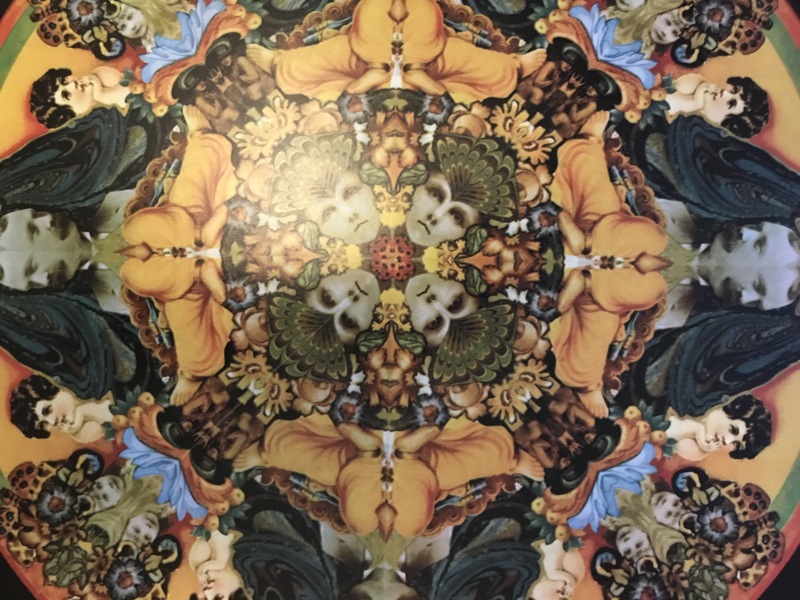 Image of Now-Again Records’ reissue of David Axelrod’s Song of Innocence cover (Capitol Records, 1968 / Now-Again Records, 2018). Song of Innocence reissue liner notes, back cover. All photos © Dominic Umile 2018. I bought my copy of Song of Innocence via Rappcats.